Mary K Jackson: singer/songwriter penetrating the local folk music scene with originals like never before heard. Her acoustic sets fare well at art festivals, but her favorite shows are the spontaneous ones to the strangers on the street corner or the quick yardsale-to-yardsale weekend performances. She also plays full-band with Devin Powell(electric guitar), Melanie Park(keyboard), and Samuel DuMont(percussion). Paul Jakubowski is a second generation artist and grew up in Northern New Jersey near NYC. His father was his first teacher. He is most known for his large scale mural work and mossaics. His clients include residential, commercial, corporate and public art. He is a profeicient painter working oils, acrylics, water colors, colored pencil. He also soes large murals in mossaics and makes education documentary art films. Many works can be seen by visiting his website pauljakubowski.com. Paul is dedicated to his comunity and inspiring others. He loves to travel and paint murals with hundreds of school children. He teaches fun and exciting colasses in painting and drawing and inspires others. I’m a jack of all, master of some. I love everything to do with audio and have a master’s degree in recording arts; compose, record, sing, teach, what-have-you. 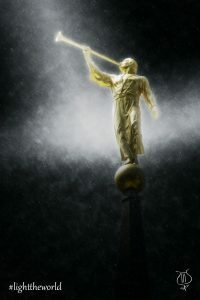 I also love photography and graphic design; my leading visual project right now is a large set of LDS temple art. Check out my Behance link to view samples of almost everything I do. Salome (Sal) Wolfgramm Jansson is Tongan and teaches the dance, music, arts and crafts, stories and legends of five major Polynesian islands: Hawaii, Tahiti, Tonga, Samoa and New Zealand. Sal has received instruction from teachers abroad, locally and from her family. She has 20 years of choreography and costume design experience. Sal’s residencies can include performance elements such as learning how to dance, sing, play instruments, make costumes and use props, but they are truly multi-discipline, teaching geography, language, and history along with music and dance. The introduction of folk arts into the public education system allows all students and teachers to participate in learning about different cultures, resulting in a greater understanding and appreciation of the culture studied. 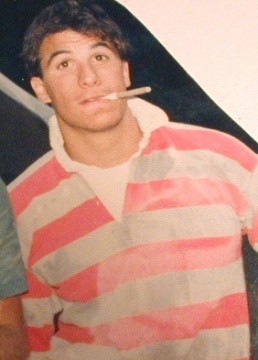 Sal has taught preschool youth through 12th grade. She is flexible, patient, and positive, giving students and teachers alike an enjoyable and educational experience. The nature of Sal’s residencies allows all to participate, no matter what disabilities may exist. There may be additional fees for supplies, unless provided in-house. Requires materials for arts and crafts section of the program, a television and VCR for one day, and likes to have a CD/cassette player available. Available for residencies, teacher training, extended projects, collaborations with other artists, and short-term activities. Richard Jenkins is a cartoonist, writer, and master teaching artist. He has been making comics and graphic novels since 1996. Creating stories with unique engaging characters, vivid settings, and strong emotional resonance. His work spans a broad range of genres, including fiction, non-fiction, action, humor, biographical, and horror. From 1997 to 2006, Richard worked as the co-creator of the cult-classic Sky Ape comic book series, about a cigar-chomping, jetpack-wearing, reluctant-hero gorilla. Illustrating a four-issue comic book series (Sky Ape: Les Aventures,) 1997, and three graphic novels (Sky Ape: Waiting for Crime, 2001; Sky Ape: All the Heroes, 2003; Sky Ape: King of Girls, 2006.) In addition to his longer work on Sky Ape, Richard has also written and illustrated short stories for the Graphic Classics and Inbound anthologies. 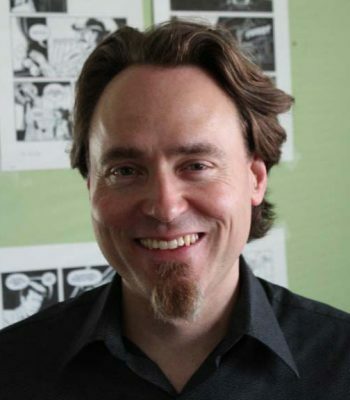 Since 1997, Richard has also worked throughout the United States as a teaching artist, engaging students in drawing, cartooning, story making, and painting. His student-centered teaching focuses on building up their creative and cognitive capacities, guiding them through the creative and inquisitive process of making art and stories. In 2000, he began consulting across North America, providing professional development training for educators. Instructing teachers in arts integration, arts inclusion, arts & UDL, and arts-based learning assessment. 2008 marked the release of his first arts integration manual for teachers, Comics in Your Curriculum. In 2009, for his exemplary work with special needs students, Richard was awarded the VSA Teaching Artist Fellowship from VSA arts International. In 2010 he was a guest teacher at the Smithsonian American Art Museum. And, from 2010 to 2012 he served as a field reporter for the Teaching Artist Journal, writing articles about the teaching artist field. 2012 also marked the beginning of Richard’s partnership with the Kennedy Center for Performing Arts in Washington DC. As a Kennedy Center Workshop Leader, he provides professional development training for educators. Teaching them artistic skills and strategies for integrating cartooning, visual art, and story making into their classroom curricula. Richard lives in Lawrence, KS with his wife, Stephanie, and their two young children. When he’s not changing diapers, he is steadily chipping away at his newest graphic novel entitled Toil. A film-noir inspired murder mystery set in 1933, in the sinister canyons of Utah. Experienced Playwright, producer, director, actor, scenic designer, lyricist, choreographer, improv instructor with 30 + years of stage, radio, television, and commercial experiences. I work in an elementary school library, and I like to read stories to the kids there. I’ve also read at a Summer Reading Club for Kids and at a Story Time at a local park. Last winter I told a story at the Clearfeld Stortelling Festival, and I’m planning on doing it again. Sandy Thuy Jensen Sandy studied theatre at the SLCC and the U of U. In 1994 she opened the Off Broadway Theatre in Salt Lake with her husband, Eric and some partners, where they helped create “Quick Wits” an improv comedy troupe and later changed their troupe’s name to “Laughing Stock.” In 2003, both Eric and Sandy have been running their theatre together, keeping them busy. Sandy loves to play with her son, Austinn the love of her life. Some of her theatre experiences have been: Liat in South Pacific, Chah Li in Song of Singapore, Lotus Blossom in Tea House of the August Moon, Miki in Majority of One, Poppy in Noises Off, and Sara Lee in Kung Fooey. Other theatres that she has acted at are: Hale Center Theatre, Sundance theatre, Rodger’s Memorial, Stage Right, Salt Lake Acting Co., Off Broadway Theatre, and the Salt Lake Grand Theatre. Sandy has done some film and local commercials. Her most treasured roles have been as Mom and Wife. Kimberly Johnson is the author of two collections of poetry, Leviathan with a Hook and A Metaphorical God (Persea Books, 2002 and 2008), and of a translation of Virgil’s Georgics (Penguin Classics, 2009). Her poetry, translations, and scholarly essays have appeared widely in publications including The New Yorker, Slate, The Iowa Review, and Modern Philology. With Michael C. Schoenfeldt and Richard Strier, she has edited a collection of essays on Renaissance literature, and she has served as the editor for a fully-searchable online collection of John Donne’s complete sermons. Recipient of grants and fellowships from the National Endowment for the Arts, Sewanee, and the Mellon Foundation, Johnson lives in Salt Lake City, Utah. Richard earned his MFA in sculpture from the University of Iowa and resides in Jerome, Arizona (population 500). In Jerome, it is not uncommon to see a parade of children heading down the streets featuring masks and large sculptures created by his students in the Jerome Kids’ Art Workshop, which he founded in 1990. In 1987, Richard received a Fullbright Fellowship for independent research in masked rituals in Burkina Faso, West Africa, where he spent 10 1/2 months. Richard’s residency is beneficial to both students and teachers. 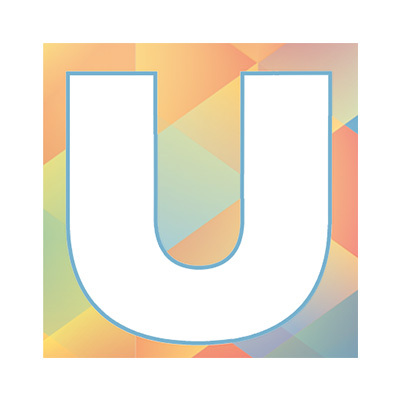 The students soon discover that universal symbols exist in color, form and design, which transcend spoken language. As students work in either individual or collaborative projects, they make choices in color and form to express their own personalities. The masks and sculptures do not hide one’s identity, but rather reveal individuality. Richard is available for short-term projects, artist-in-residence, teacher workshops, slide shows and video presentations. Materials needed are: a 35mm slide projector, VCR, scissors, glue, cardboard or posterboard, paper, pencils, erasers, staplers, duct tape, and brushes, as well as crayons, markers, or tempera paint. 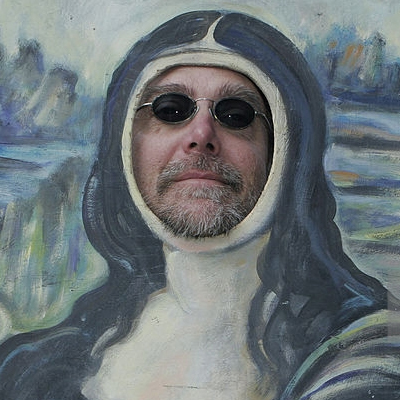 Richard is a respected artist on the Utah Arts Council Arts Education roster. Author of a number of books and screenwriter with 12 projects in development and one being produced. Mary Johnston-Coursey has taught, choreographed and performed since 1987. She has been on the faculties of the University of Utah, Utah State University, Columbia College Dance Center, MoMing Dance and Art Center, and The School. Residencies and choreographic commissions have taken her across the country, as well as to Costa Rica. In Chicago, Mary danced with Jan Erkert & Dancers and Mordine & Company. She was honored in 1991 with the Ruth Page Dancer of the Year Award. Upon moving to Utah, Mary founded her own dance company, Kinetic Cafe, and became cofounder of the Choreographers Lab. Mary’s residencies can be tailored to each situation and age group, and could include creative movement classes, dance technique classes, and choreography for productions, as well as community and teacher workshops. Mary is interested in drawing from both classroom curricula and the students’ life experiences to create dance events that are meaningful to them. She feels it is important to involve students on some level in the choreographic process so they feel ownership of the final work. Mary enjoys working with a variety of populations and age groups. 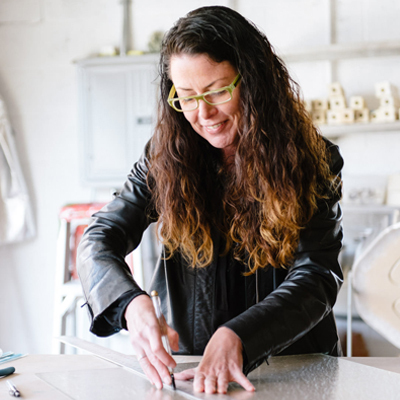 She has done collaborative projects with others artists within a residency, and is especially excited by the possibilities inherent in collaboration. Available for residencies, teacher training, extended projects, collaborations with other artists, and short-term activities. Hello. I am a poet and writer who lives in the Salt Lake City Area. While I have always loved reading the poems of E.E. Cummings, Wallace Stevens, Robert Frost and others, I did not begin writing poems (or even think about writing poems) until my late 30s. I wrote my first poem on a flight from San Francisco to Salt Lake City, after reading an article in Scientific American magazine about Hugh Everett, the brilliant but troubled theoretical physicist and visionary behind the “many worlds” theory of the universe. It seemed strange at first to write a poem about a scientist, but it all came together as I imagined the struggles of a man living in a world where his genius was so misunderstood and how the sadness he must have felt from his difficult relationship with his son and his family contrasted with the happiness I feel from mine. Since that time, I have continued writing poems that weave observations about such unremarkable things as a father’s conversations with his 4-year old son, the view from my front yard or my memory of the late Yankee catcher Thurman Munson with deeper explorations on science, history, relationships, love and (of course, since I am a poet) death. The first volume of my poems can be seen at www.19poems.com and I hope you will feel free to visit the site and read them. The second volume is expected to be completed later this fall, when it will also be posted to my site. I have also written a screenplay entitled: "What Brothers and Fathers Will Do," which is available for reading by request. 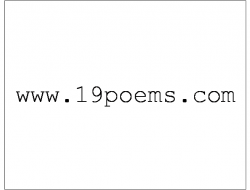 Please send request via email to requests@19poems.com. I can be reached for any other reason at djones@19poems.com or on facebook. Gina has written over 300 songs and has opened for over 37 opry stars from the time she was 9 to the present. Gina recently opened the Blake Shelton day of the Mountain Home Idaho Festival. Gina was mentored by the late great grand father or Nashville songwriters Mr. Harland Howard and spent over 18 years of her life in Nashville recording and writing.. Gina embraces being a fully mature woman and takes her audience on a journey through her life in songs. Has a huge following that call her a true organic country voice. She would make an excellent opener for any artists but especially outlaw genre. Gina Jones lived in Nashville for over 18 years and now has a single out on over 50 radio stations since its release 6 weeks ago also on, I Tunes, Spotify, CD baby, Reverbnation, Amazon. Thaddeus Jurczynski is a sculptor and celebration artist rostered with the Washington State Arts Commission. He has been presenting artist in residency and science enrichment programs for over 20 years. His workshops and residencies include such diverse subjects as reed sculpture, batik self portraits, and rocketry. His giant puppets have been seen at various parades and festivals throughout Puget Sound. In 2008, Jurczynski was commissioned to create a 6 ft tall glowing anchor by the Jefferson County Historical Society for their annual First Night Celebration. Another commissioned piece, a 9-foot long Chinese Dragon Puppet is on permanent display at Port Townsend City Library. He has been to Taiwan twice to help build ensembles and giant puppets for the annual Dream Community parade. His teaching philosophy is “Learning is something children do, not something that is done to them”. He is currently participating in Teaching Artist Training Lab, a regional program developed expressly for teaching artists by the Seattle Repertory Theater and the Washington State Art Commission. His motto is: "Experience an educational program that gives children the power of participation. Short Hands-on Art & Science Workshops (45min) E= Elementary M = Middle H= High School level Altered States (EM) Explore states of matter and changes in state. Make slime! Bubble Geometry (EMH)* Learn several bubble tricks and techniques, including Bubbles inside Bubbles, the Ballerina Bubble, and the Bubble Cube! Cooperative Art Games (EMH) Students compete in small groups to assemble a hidden sculpture! Kirigami (EMH) Kirigami is the Japanese art of paper folding and cutting to create patterns that can resemble stars, flowers or snowflakes, or even Celtic knot design. Great math extension. Moebius Bands (EM) Explore the science of topology by making interweaving wristbands. Altered States (EM) Explore states of matter and changes in state. Make slime! Physics for Artists (EMH) Discover the relationship between the colors of light and colors of pigment. Shadows in Space (MH) Discover what causes an eclipse and other mysteries about the earth, moon, and sun. Six-Pack of Science (EM) Apply the scientific method to discover why some pop cans sink and others float. Solar System in Scale (MH) Learn how the planets revolve in relation to each other and why they call it “space”. Residencies Self Portraits (EMH) 2-5 hrs Create detailed self-portraits using colored pencils and/or watercolor. Add a language arts extension through poetry. Batik (MH) 3-8 hrs Create stunning and colorful works of art using the wax-resist process. Great for creating large, colorful banners or flags. Batik Self Portraits (MH) 5-8 hrs Create detailed self-portraits on cloth using hot wax and acrylics. Giant Puppets (MH) 5-10 hrs Create giant puppets that can tower over a crowd. Great for parades and festivals! Life-Casting (MH) 2-4hrs Create a plaster cast of your own face. Great for papier-mache or leather work. Mask-Making (EMH) Create masks suitable for wearing or as an art object. Can be a good follow up to life-casting workshop. Puppet-Making (EMH) 2-5 hrs Create your own puppet show! A wide variety of materials and methods to choose from.